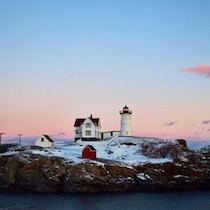 THE INSIDE SKINNY ON… The Nubble Lighthouse! 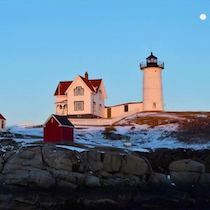 We all know what a treasured landmark the Nubble Lighthouse is here on the seacoast, but have you ever gone behind the scenes? 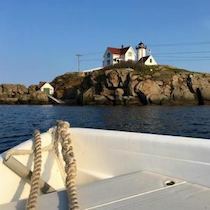 Matt Rosenberg, the Keeper of the Nubble Lighthouse, was so kind to answer some questions and give us the inside skinny on this famous York, Maine icon! 1. 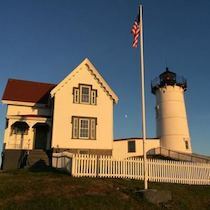 Your Instagram account is @nubblelightkeeper. 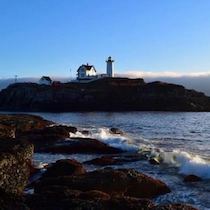 What does it mean to be the Keeper of the Lighthouse? Is it your full-time job? Being the Keeper is different now than it used to be. The original keepers lived there because they had to fuel oil lamps (many times a day) and wind the fog bell striking mechanism when there was fog. 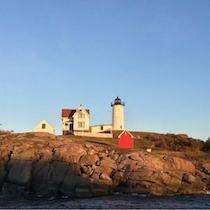 The lighthouse is now automated which means the role of keeper is to maintain the buildings and grounds. I work seasonally, from April to Thanksgiving. I also teach at York High School, so my work is part time in the spring and fall and full time in July and August. 2. 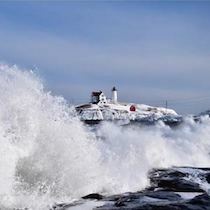 How long have you been associated with the Nubble Lighthouse? How did you get involved with it? 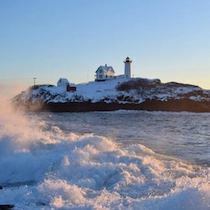 I have been the Lighthouse Keeper for the last four years. It was a job which was advertised in the newspaper and at the schools. 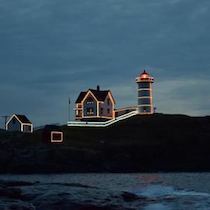 The previous lightkeeper had been a school teacher and the job schedules worked well together. I didn’t think I had a chance when I applied, because the job seemed too good to be true, but it worked out in the end. 3. 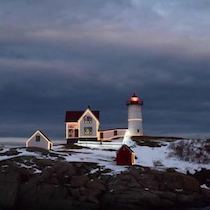 What responsibilities do you take on as the Keeper of the Lighthouse? 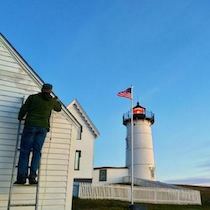 As Keeper I maintain the grounds and buildings of the Nubble. I do all the light carpentry, and keep up with the paint on the outbuildings. I also mow the lawn and take care of the grounds. It seems like every week I end up doing something that needs to be done that I never thought of before. 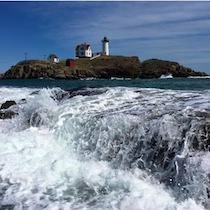 I also take care of Sohier Park, which the public views the lighthouse from. 4. 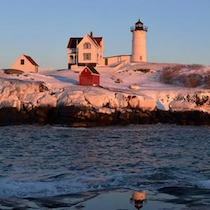 Have you always lived on the seacoast? What do you love about living here? 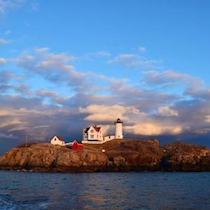 I moved to seacoast New Hampshire when I was 14 and I went to UNH. My Dad was in the Coast Guard and we moved all over the East Coast as a kid. When we moved to this area, it felt like a real home for the first time and I never have wanted to live somewhere else. I love the balance of old fashioned community values and the cosmopolitan feel you get in the seacoast area . There is always something to do and great people to do things with. It really is a special place. 5. 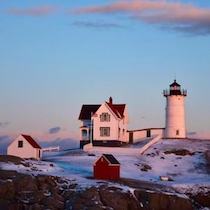 What is the best part about being associated with the Nubble? Just like anything else in life, the best part is the people. 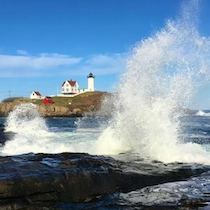 It seems ironic to say that since I spend half of my time on an island that only I can go to, but the people I meet in the park and online who love the lighthouse really make it worthwhile. 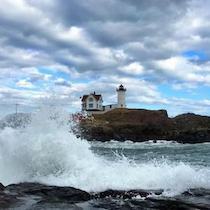 So many people love the Nubble Lighthouse, that I get to participate in their love and enthusiasm for it too. It is wonderful thing to be a part of. 6. 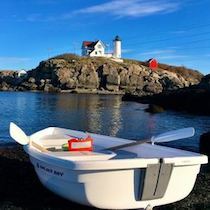 Is there something special about the Nubble that most people don’t know? 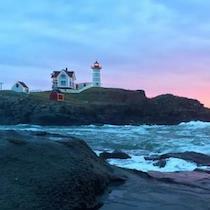 There are a couple of really neat things about the Lighthouse and the park. 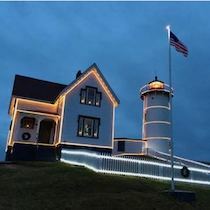 The first is that the lighthouse is supported entirely by donations and the gift shop in Sohier park. We have so many amazing volunteers who staff the gift shop and give their time to the lighthouse. 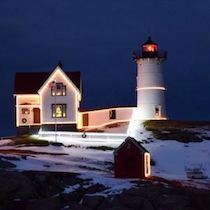 Another special thing would be the romantic nature of the Nubble. 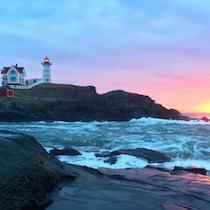 If you come on a nice day in June, July, or August ,you are practically guaranteed to see a couple getting engaged, getting married, renewing their vows, or celebrating an anniversary. It’s in the air there. 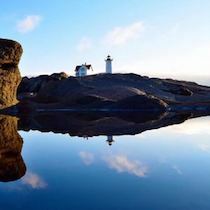 The last special thing is that there is a secret painting of the Nubble Lighthouse tucked away in the rocks of the park. Most people who visit never see it, but it is fun to send kids looking for it. All photos taken by Matt Rosenberg. 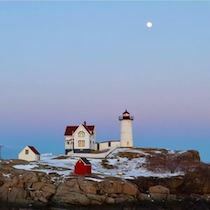 Follow his beautiful Nubble Lighthouse photography on Instagram @nubblelightkeeper!